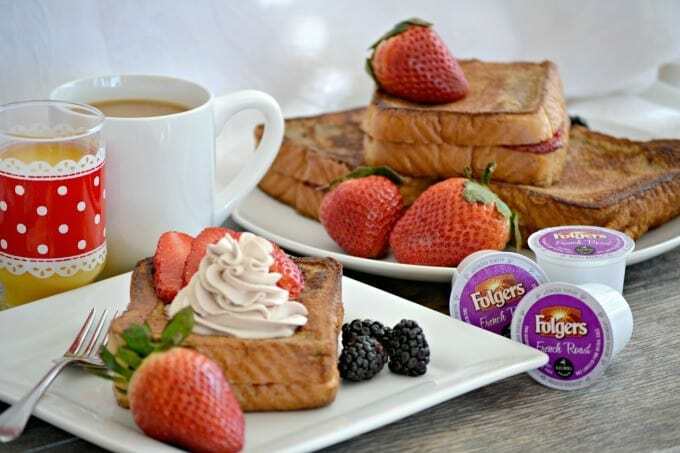 Strawberry Stuffed Mocha French Toast – Texas toast stuffed with cream cheese and strawberries then dipped in a mocha batter made with Folgers® French Roast Coffee. It’s an extra-special way to start the morning! It’s one of my favorite things to eat for breakfast and it’s really all my son ever orders when we go out to eat on a weekend morning. There’s just something comforting about breakfast, but even more so when you spend the time eating it with family and and friends. When our kids were younger it was typically cereal, oatmeal or cream of wheat before school. I just found the mornings were too hectic trying to get three kids ready and out the door on time for me to make a breakfast we could all sit down to eat. They also really liked their sleep, so there was no way I was going to disturb their slumber. One or two of them would be a wee bit grumpy if I did and you know that’s not a fun way to start a morning. The weekends on the other hand, were a different story. Kurt has always worked on Saturday mornings, so I’d occasionally make pancakes or French toast for the kids, but Sunday has always been family day. We’d go out or I’d make breakfast and we’d sit down to eat it together. It’s always been a great way to start the day – eating the most important meal and spend some more time together. What’s better than the comforts of having your family around and eating a meal that warms the soul? When I think about all the comforts of breakfast, I think about coffee. I know I’m not alone. The smell, the taste, it just “goes” with breakfast and is another great way to start your day. 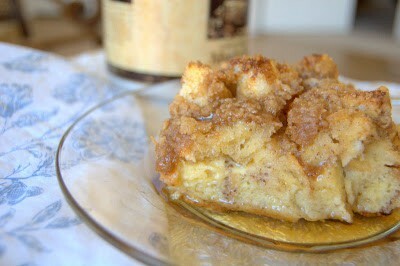 So, of course it only seemed logical to add my Folgers to this recipe. See, you don’t need to just drink coffee with your morning meal, you can have it in it as well to make that comforting meal even more special! 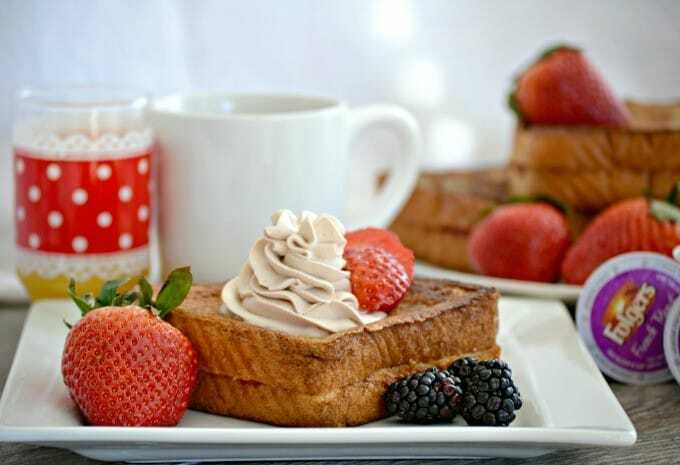 It also goes without saying that I’m going to enjoy my morning cup while eating this Strawberry Stuffed Mocha French Toast, too. 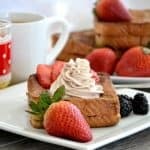 I’ve made a lot of French toast in my day, but when it’s made with thick slices of bread, stuffed with cream cheese and strawberries, and has even more flavor because you dipped it in a mocha batter, it’s a win-win. 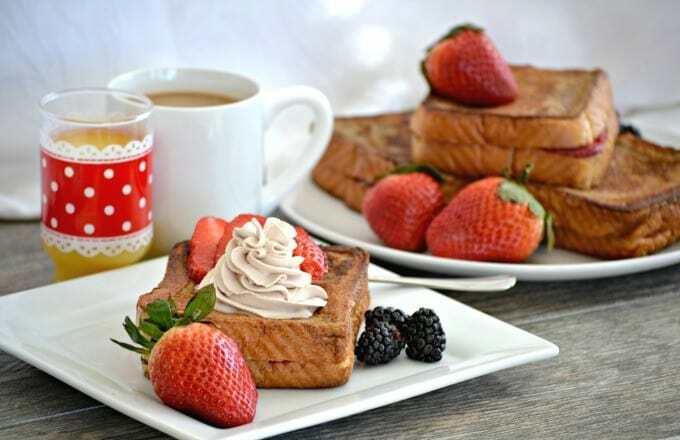 This Strawberry Stuffed Mocha French Toast is Texas toast stuffed with cream cheese and strawberries then dipped in a mocha batter made with Folgers French Roast coffee. In a small bowl, mix together the flour and the sugar. 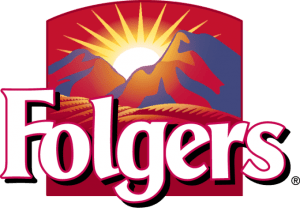 Brew one 8-ounce cup of Folgers French Roast Coffee. Add the chocolate syrup and mix well. 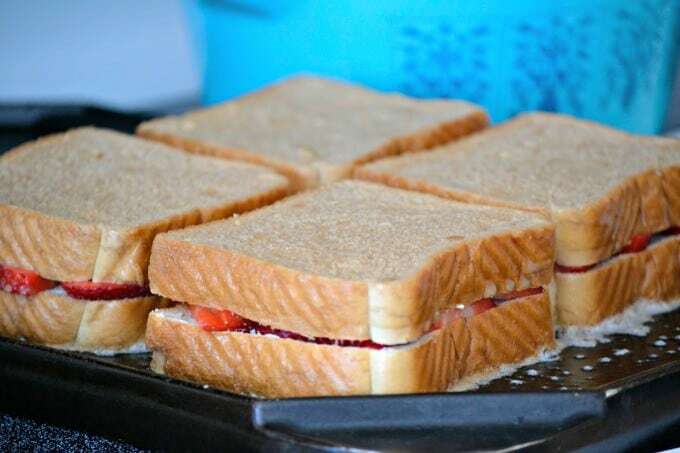 Place slices of the Texas toast on a clean work surface. 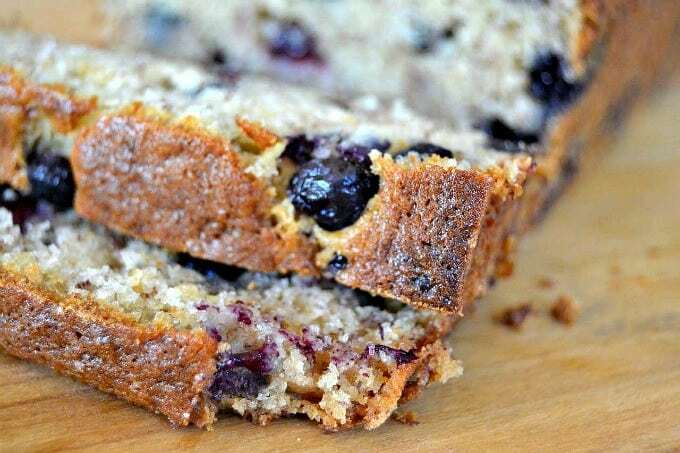 Spread about two teaspoons to one tablespoon on one side of each slice of bread. 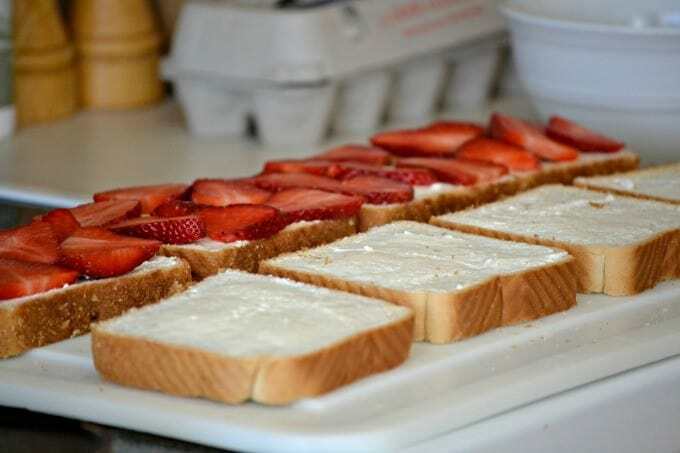 Place a few strawberry slices on half of the bread slices, leaving the remaining bread covered with the cream cheese. 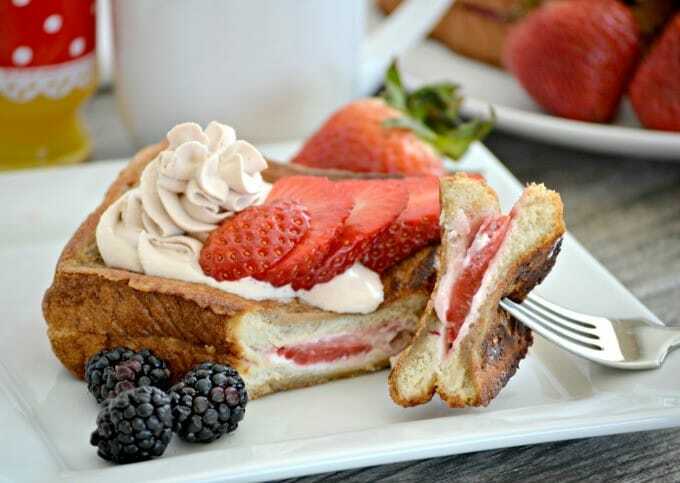 Put one slice of bread with cream cheese on top of one covered with strawberries. In a large bowl, beat the eggs. add the milk and vanilla extract. Whisk in the flour mixture and mix until well combined. Remix the coffee and chocolate syrup and add to the egg mixture. Mix well. Raise the heat to medium and add enough butter to the skillet or griddle to coat. 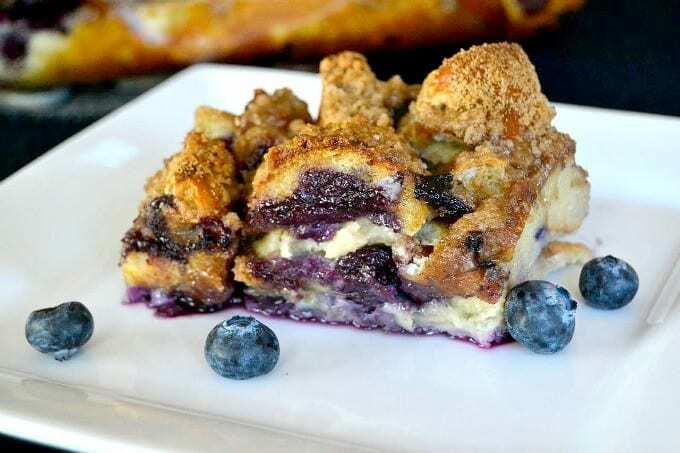 Dip the French toast sandwich into the batter, soaking each side for about two to three seconds. 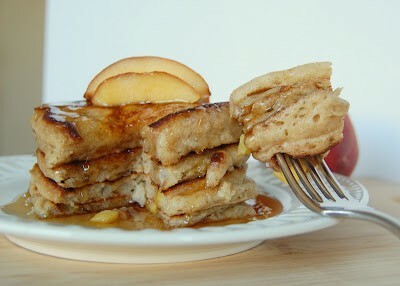 Place onto the heated griddle and cook for about 3 - 5 minutes on each side, or until golden. 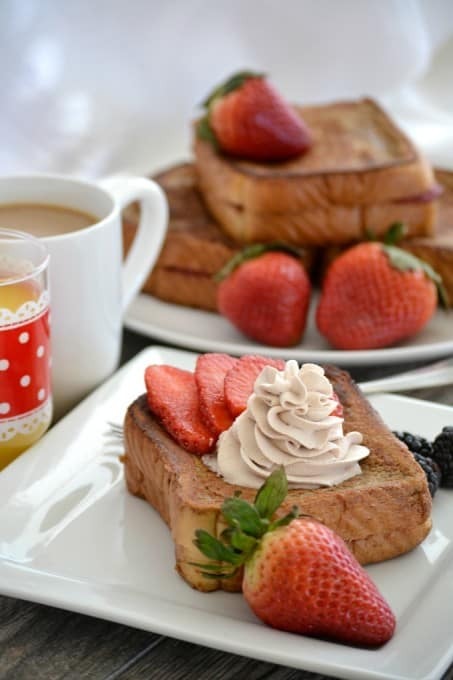 Serve with maple syrup, chocolate whipped cream and strawberry slices. Would this be your reaction to having a “Cronut” for the first time?